I had jumped at the chance to make some projects for Love Patchwork and Quilting a couple of months ago. This magazine is out of the UK and is now a monthly publication that is really fun and modern. ..and my Baby Blocks Quilt (aka Road Trip Quilt). I made the quilt in this boy version and a low volume (or low value??) girl version. I quilted the boy version with straight lines about 1/2″ apart and the girl quilt with organic wavy-ish straight lines. I love the result of the slightly wavy lines. 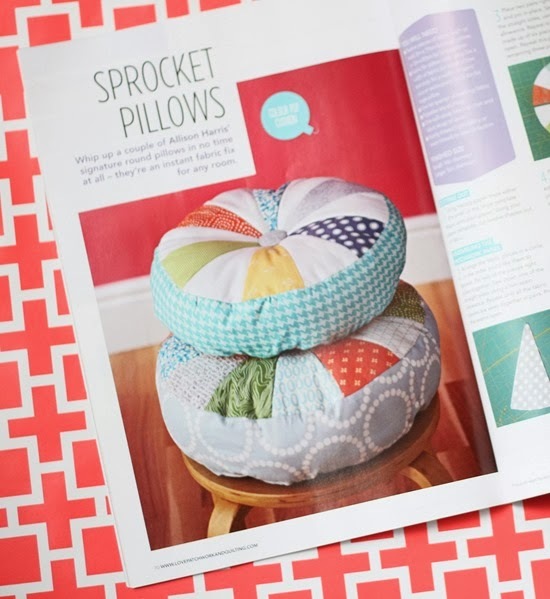 I love, LOVE the pillows, which is drawing me towards a purchase of said magazine! Oh you tempter! Oh I wonder where I can get that magazine in Australia? …..
Beautiful! 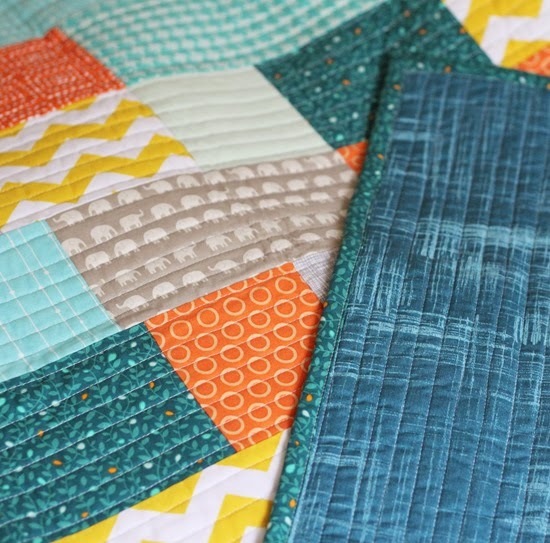 Especially love both the colors and wavy lines of quilting on the girl quilt! Can't believe how that subtle curve makes the quilt more alluring to me! 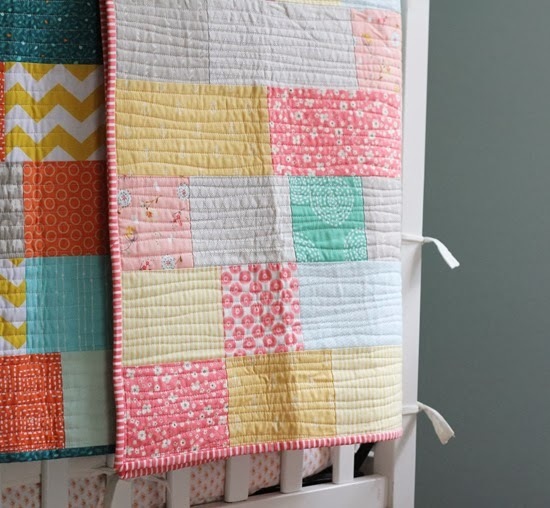 I am so tempted to purchase that quilt so I can have one made by you… but that one is too small for my now 2 year old son!!! I love the stripe binding on the girl version. I'm always looking for the perfect stripe for binding! I've got the first two issues and I'm looking forward to the 3rd :). It's a great magazine and I'm enjoying the articles. Hope you're going to be in future issues too. How completely exciting for you! Congrats!!! 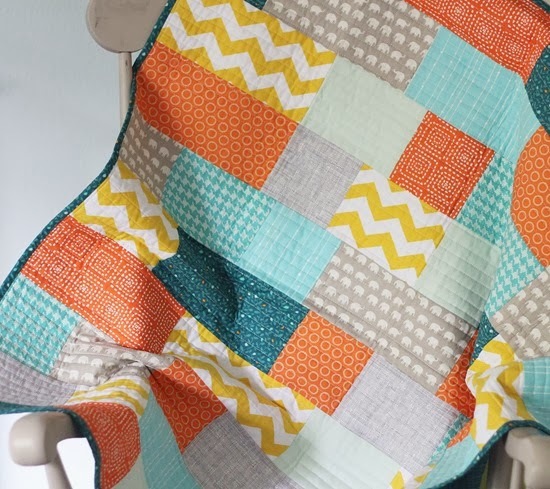 I love these quilts, they are so fresh and fun. The pillows are wonderful, also. Congrats on the magazine!! 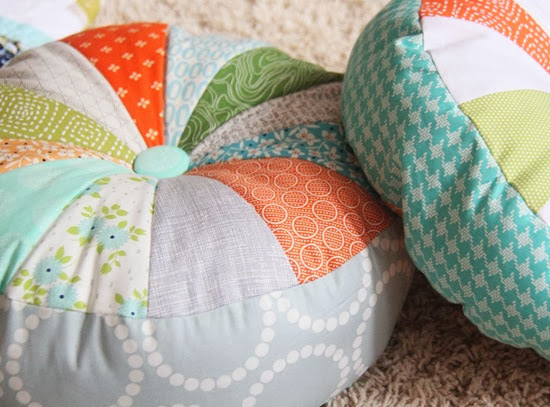 I made your Sprocket pillows for Christmas gifts last year and they were a HUGE hit. Thank you!!! Hi, is there a pattern for those boy/girl quilts? Love it!